WW2 Jeeps – 1942 Ford GPW – All about it! The Great Vehicle is Here! This started out as a little place for me to post some pictures and blather about my jeep…GPW 29668. Over the course of time, it has developed into an opportunity to dig into those volumes of ancient Army Motors from World War Two. The Army Motors of yesteryear issued during those dark days known as World War Two not the modern version published by the MVPA. I hope you enjoy this site as much as I have enjoyed putting it together. I can’t really say I created it because so much of the material is from other sources. If you have a constructive comment let me know. Thanks. 1942 Ford GPW is a great vehicle! 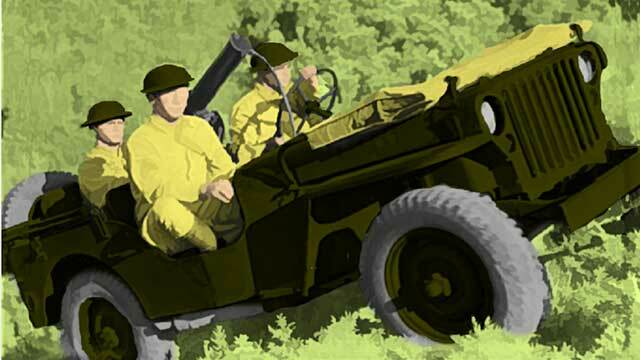 Is there anything finer than a WW2 jeep? I doubt it. I found my jeep around 1980 and it was a derelict. It ran..sort of. After I bought it and drove it home, I checked the oil. It had almost no oil. I soon figure out why…it smoked like a chimney when it had proper levels of oil. So that led to my first rebuild. 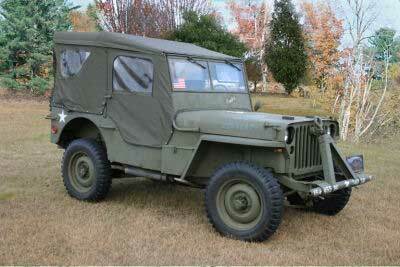 On this website you can find out all about WW2 jeeps and related information. 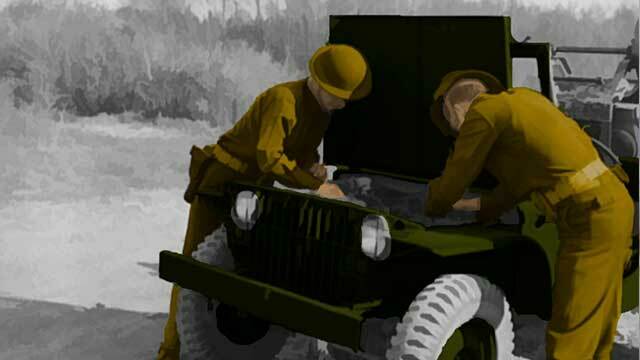 Read all sorts of fascinating facts about the Ford GPW and Willys MB jeep as used by the US Army and allies during World War Two. 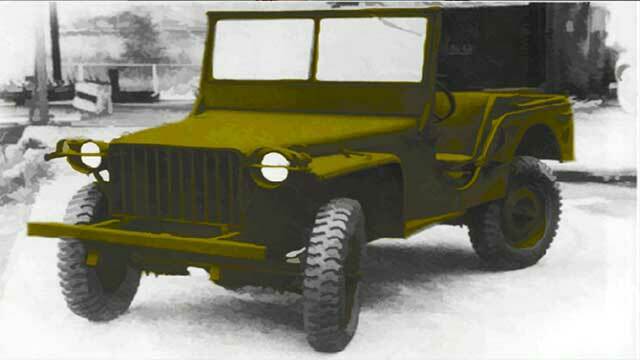 There is also information about the Bantam BRC, Ford GP and Willys MA pre-standardized “jeeps”. I think you will find a lot to like on this website…if you like WW2 jeeps! She goes by the name of “Army Jill” She appears a lot on this website and on items that we sell. 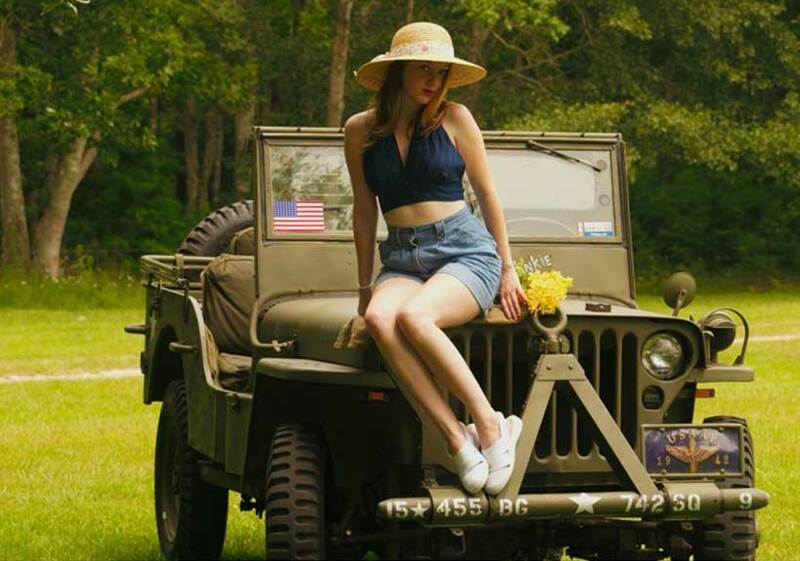 It was a lot of fun hiring a model and then setting the stage with my WW2 jeep. It really was a crazy day because a hurricane was on it’s way to Florida. It hit the next day. Luckily for us, it was no where near where we were. Here is a shot of my WW2 baby! I’ve had this jeep since 1981. I’ve restored or repaired several times. It will never be perfect but that is okay with me! I have had a ton of fun with it. Driving it in the snows of North Dakota and Alaska as well as the swamps of Florida and the Deserts of California. Check out My Story.